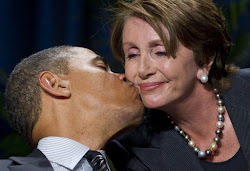 There should be a laugh track playing behind this load of crap from Pelosi. Notice how all this talk to bipartisanship went right out the window when Obama was elected. It quickly turned to you lost we won you have to listen to what we say. Remember this video each time you hear another bill was passed without debate or opposing input. And please by God remember this the next time you vote.